Connoisseur is now offering the THE WORLD’S MOST ADVANCED ENVIRONMENTALLY SAFE FIBER PROTECTION SYSTEM! – The Connoisseur Carpet Cleaning blog. THE WORLD’S MOST ADVANCED ENVIRONMENTALLY SAFE PROTECTION SYSTEM! 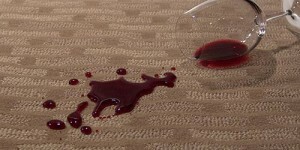 All carpets and upholstery protected whether new or not, will require maintenance. Fiber ProTector treatment provides easy stain removal and reduced intervals of deep cleaning; thereby achieving considerable savings in cleaning and refurbishment costs. The net effect is that the original appearance can be maintained by routine cleaning. Fiber ProTector’s protectant is “non-toxic and non-allergenic.” Fiber ProTector is safe to use around children and pets. Fiber ProTector is biodegradable. Fiber ProTector travles clear through to the backing even moving horizontally one to five inches which allows it to penetrate every fiber regardless of fabric type. It actually helps strengthen fibers while remaining odorless and colorless. Carpets and furniture can be “bacterial bombs.” New research shows that office chairs can contain more bacteria than a toilet seat. Damp carpets can create smells and an indoor environment hazardous to health because fungus and mold can develop under the carpet. Fiber ProTector delivers antibacterial treatment of carpets and fabrics to prevent the above as well as preventing the spread of bacteria, fungus and mold. Fiber ProTector has a revolutionary system that is able to encapsulate the microscopic holes within the carpets’ or fabrics’ fiber. Therefore the fiber keeps all it’s natural properties like breath-ability and looks and feel. Dirt doesn’t get the chance to attach and will be laying on the fiber. When cleaning the carpets, only the use of hot water is often enough to remove parts that have not been removed by the vacuum cleaner. Having your upholstery and carpets protected with Fiber ProTector will keep them looking like new for longer. It also prolongs the overall lifespan of upholstery and carpets as our protection reduces the need for excessive cleaning. The best product for the protection of upholstery and carpets is Fiber ProTector, because we specialize, innovate and care for your investment. No. Using Fiber ProTector does not change the look or feel of carpeting. Occasionally, slight over-application of Fiber ProTector or accelerated drying (with fans or heat) may cause treated particles to stiffen. 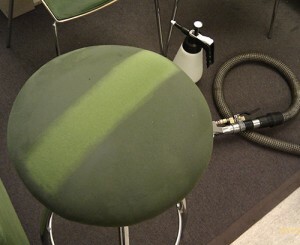 Simply, vacuum the affected areas and the carpet will feel normal again. The product is safe for use on wool rugs. 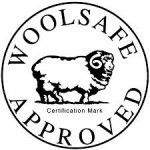 Our Fiber ProTector products are tested and approved by the WoolSafe organisation and therefore safe to use on wool. Having your rugs or fabric protected means the dirt repellency and clean-ability are improved. Under average room temperature conditions (70 degrees F, 50% Humidity), most objects should be dry in 1 hour. Always be sure to check before wearing the treated areas. Longer dry times could occur under the following conditions: colder temperatures, more humid conditions, or heavy applications. Providing for proper ventilation for the product will also provide a quicker dry time in most conditions. You can use it on rugs, residential or commercial carpeting, and automobile carpeting and matting. Always check for colorfastness first by testing in an inconspicuous area. This product works great on most fabrics! Whether natural fabrics like cotton & wool, synthetic fabrics like polyester & nylon, or delicate fabrics like silk; you can use Fiber ProTector Fabric protector for fabrics & upholstery. (It is always good to test in an inconspicuous spot for color bleeding.) We do not recommend using on plastics or vinyl. On upholstery, check furniture manufacturer’s care and warranty information. Examples of usage include: sofa, chairs, auto upholstery, camper & rv’s, clothing, silk ties & blouses, delicate fabrics, wool, quilts, throw pillows, table linens, place mats, window treatments, crafts, canvas shoes, & more! 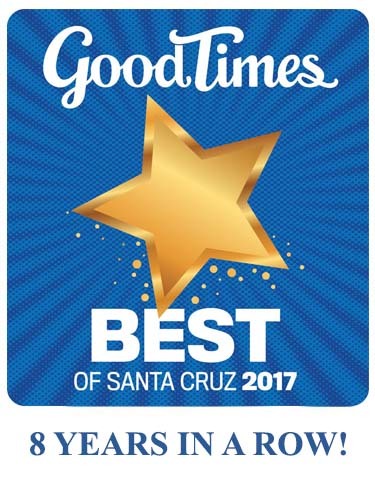 Fiber ProTector is the most technically advanced and effective fiber protection system available in Santa Cruz, Los Gatos and Saratoga, or in the world for that matter! « Two pictures are worth 2000 words? » Now serving the Reno/Tahoe/Carson areas!